ADA, Okla. — A university in Oklahoma has—at least temporarily—halted its initial decision to remove Christian symbols and Bibles from its chapel, a move spawned by a complaint from a prominent church-state separation group. 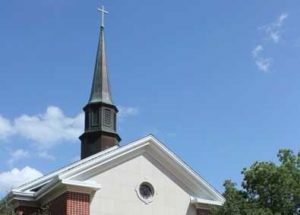 East Central University in Ada had been contacted by Americans United for Separation of Church and State, which asserted that the cross atop the Kathryn P. Boswell Memorial Chapel, as well as the Christian altar and Bibles inside, violate the Establishment Clause of the U.S. Constitution. The chapel opened in 1957. “While it is legal for a public university to have a space that can be used by students for religious worship so long as that space is not dedicated solely to that purpose, it is a violation of the Establishment Clause of the First Amendment to the U.S. Constitution to display religious iconography on government property,” the letter read. “Please remove or cover the religious displays and items,” it requested. University officials initially decided to comply with the demand, stating that they did not want to appear to “presume to embrace one faith over another” as the chapel is used by different faiths and student groups. Word of the capitulation upset some alumni. However, on Friday, the school issued a statement advising that it will put the brakes on its plans and keep the items in place while the university takes time to review the matter further. She outlined that the university plans to form a committee comprised of said students, faculty and community members to study and discuss the issue. As previously reported, Americans United for Separation of Church and State is led by Barry Lynn, an attorney who is also ordained in the United Church of Christ. He plans on retiring from the organization at the end of the year.